Wisconsin allows some vehicles to use emergency lights, but dictates who can and can’t through state statutes. 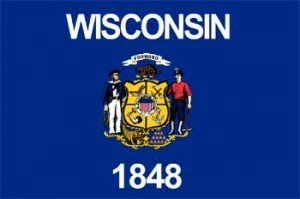 Statutes in Wisconsin also determine what color warning lights may be used on some vehicles. To make it easy for customers in Wisconsin to buy the lights they need to stay safe and legal, we have gathered local state statutes and added links to more formal sources. An emergency vehicle in Wisconsin is defined by statute 340.01(3). The state states any vehicle driven by police, fire, or EMS; including ambulances is an emergency vehicle. The emergency vehicle light law extends to include conservation vehicles, federal bomb squads, volunteer firefighters, organ transport teams, and emergency vehicles driven by local, state, and county municipalities. 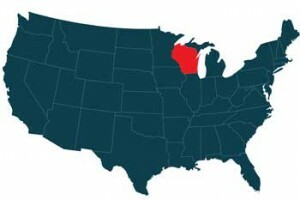 Wisconsin emergency light statute 347.25 (1)(a) allows police to use red and blue lighting. No other vehicles in Wisconsin are permitted to use red or blue police lights on department or personal vehicles. Wisconsin fire trucks and ambulances use red and white lights. Just like police lighting, fire truck and ambulance lighting is restricted under state statute. These emergency vehicles may use pulsating, rotating, oscillating, or flashing equipment. State statute requires that vehicles using warning or emergency lights in Wisconsin must only do so when the vehicle is responding to an emergency call. The state does state that police may activate lights when responding to a call, and can also use lights during traffic violations, or while following a suspect. Wisconsin warning light statutes apply to tow trucks. State statute 347.26 allows tow trucks to be outfitted with amber lights or red and amber combination lights. Like emergency vehicles, tow truck lighting must be pulsating, flashing, or oscillating. While the color of emergency vehicle lights is not restricted by state statute in Wisconsin, the state does have special emergency vehicle lighting requirements. Specifically, state statute requires that vehicles using warning or emergency lights in Wisconsin must only do so when the vehicle is responding to an emergency call. The state does state that police may activate lights when responding to a call, and can also use lights during traffic violations, or while following a suspect. In Wisconsin, pilot vehicles must use 2 amber warning lights. The units must be mounted on the vehicle roof.